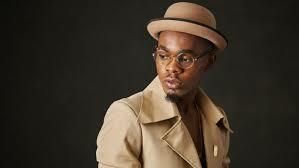 Patoranking, Niniola, Teni & More to perform at 2019 Gidi Fest – Royal Times of Nigeria. 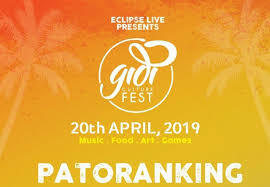 Dancehall star Patoranking alongside Niniola and the sensational Teni will be headlining the 2019 edition of the annual Gidifest which is scheduled to hold at Easter, on the twentieth of April, 2019. The event organized by Eclipse Live is in its sixth edition and will feature a number of top performances from Nigerian superstars with a special guest appearance from South Africa’s Moonchild Sanelly. This was announced by the organizers on Tuesday, on their social media platforms. The main show is set to feature a line-up of diverse African acts from Patoranking, Niniola, Teni, Moonchild Sanelly and DJ Neptune. While the new age acts, a stage introduced at its last edition will see the likes of Blaqbonez, Boogey, Dami Oniru and more take to the stage. The festival which offers music, games, food, networking and merchandise is created with the goal of encouraging the development of African talent and promoting artists from within the continent. This year’s theme is Your Voice, Your Choice and the festival will take place at the Landmark Beachfront, Victoria Island.